The director of the Touchstone Center for Diabetes Research, Philipp Scherer, has been awarded with the highest distinction attributed by the American Diabetes Association. The leader of the center, a part of the University of Texas (UT) Southwestern Medical Center, will receive the Banting Medal for Scientific Achievement for his work in improving diabetes care. The association recognized Scherer, a holder of the Gifford O. Touchstone, Jr. and Randolph G. Touchstone Distinguished Chair in Diabetes Research, for his significant and long-term achievements in the prevention and treatment of diabetes, as well as increasing knowledge about the disease. The Banting Medal will be officially awarded on June 7th during the ADA’s 75th Scientific Sessions in Boston, where Scherer will present a lecture on the physiology of energy-storing fat cells called adipocytes. The investigator’s work is focused on a fat-produced hormone called adiponectin and its physiologic importance. While it was previously thought that adipose tissue was only responsible for the storage of triglycerides, the research conducted by Scherer has demonstrated that it is also a highly responsive endocrine organ with great importance in both metabolism and inflammation. Scherer’s research based on cell biological and biochemical approaches, mouse genetics and seminal work, revealed the role played by adipose tissue in protecting patients from obesity, as it keeps excessive lipids in adipocytes out of nonadipocyte tissues including liver and muscle. “These discoveries, combined with innovative methods he developed to study contributions of specific cells to regulation of metabolism, have defined Dr. Scherer as one of the most noteworthy and creative scientists in the field,” stated the ADA as the association announced the award. 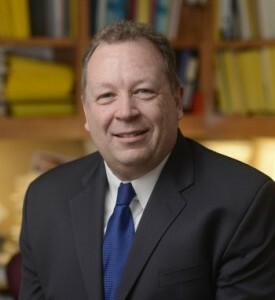 The researcher was nominated for the medal by three ADA members, including the professor of Internal Medicine and holder of the Touchstone/West Distinguished Chair in Diabetes Research, Roger Unger. Scherer is joining a list of UT Southwestern faculty members recognized with the award, which have now three other academics. The Medal is named in honor of the medical scientist, doctor and Nobel laureate, Sir Frederick Banting, who was one of the discoverers of insulin, now used by thousands of diabetics worldwide to regulate glucose in the body. Scherer had also been included in the Thomson Reuters’ 2014 list of the World’s Most Influential Scientific Minds, next to nine other UT Southwestern Medical Center investigators, who are among the most highly cited researchers in the nation. The publication distinguishes researchers who rank among the top 1 percent of the most cited scientists in their subject field and year of publication between 2002 and 2012.